Why Is Communication Critical to Your Business? 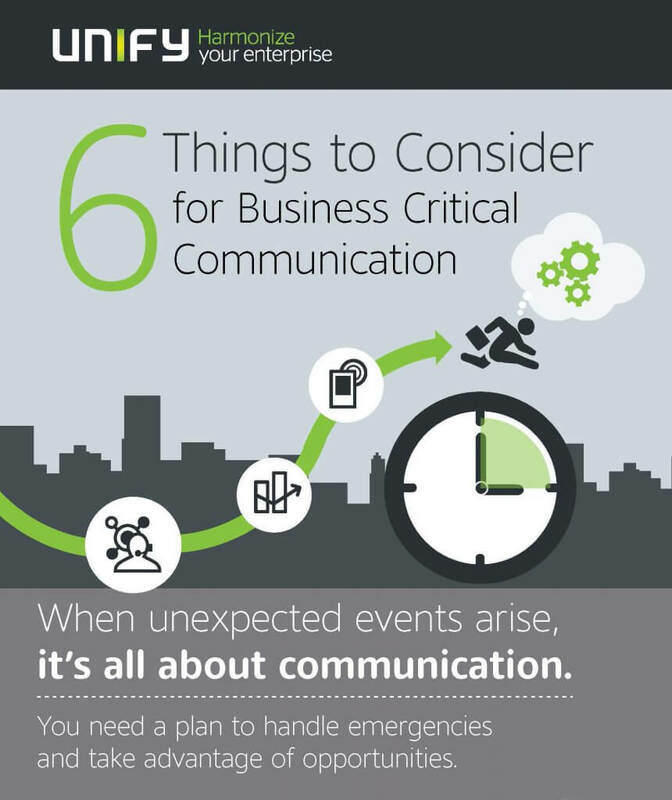 When the unexpected happens, your organization needs to be ready to respond quickly. Windfall or landslide, enterprises need a resilient infrastructure supported by fully-featured solutions to enable highly secure and reliable communication. You need a plan to handle emergencies. Do you have a plan? Why do you need business critical communication? What can happen? 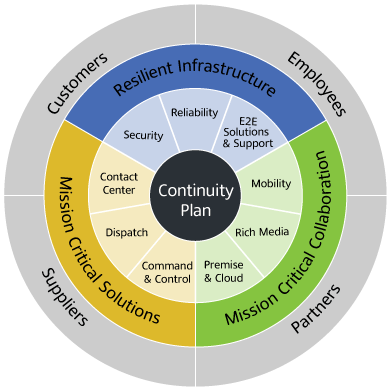 Which business critical operations need to be ready to respond? What will your employees need to work together? How will you enable them? What will your customers need and how will you serve them? What will you need from suppliers and partners and how will you notify them? How will you mobilise your business functions to respond quickly?